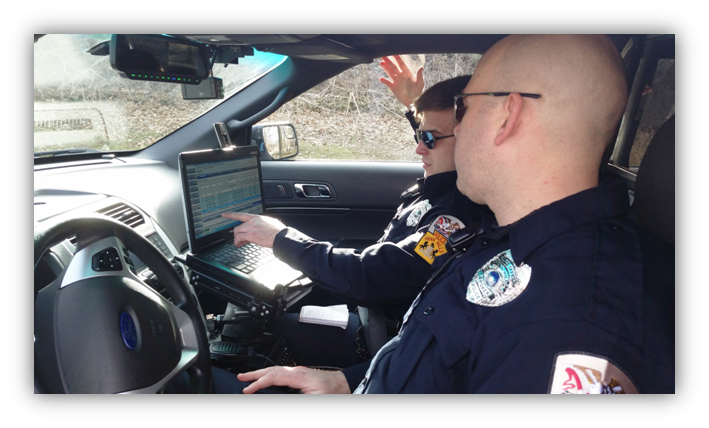 The selection process to become a Penn Hills police officer consists of several stages and is a timely process, but is worth the effort if you are looking for a rewarding career in law enforcement. Below you will find the steps that you will have to complete to become a member of the Penn Hills Police Department. The Municipality of Penn Hills will conspicuously advertise a notice to hire police officers and will list the application filing deadline and cost to apply to participate in the selection process. Please check this site, your local newspapers, and Penn Hills Police Department Facebook and Twitter page periodically for this announcement. The cost to apply the last selection process was $100.00. This figure is subject to change. Once the application filing period has begun, you will have to complete the “Application for Employment,” “Essential Duties of a Police Officer” form, “Notification Procedure Release” form, and “Waiver and Release for Background Investigation” form. DO NOT falsify, misrepresent, or omit information on your application. It will disqualify you from the selection process. These forms may be downloaded from this site or picked up at the municipal building. After you have completed and thoroughly checked your application and other forms, bring them to the municipal building along with your application filing fee during regular office hours. Your forms and your payment will be processed. Applications turned in after the filing deadline will not be accepted. Once the application filing period has concluded, we will notify you of the time and place for the physical agility and written tests. The last tests were held at the Allegheny County Police Training Academy. The physical agility test consists of running, carrying a stretcher, trigger pull, climbing through an open window, and dragging a dummy a specified distance. These are pass or fail tests. Failing one portion of the test will result in disqualification from the selection process. The written examination is conducted the same day as the physical agility test. Those who pass the physical agility test will go on to participate in the written exam. The written examination is scored. A score of 75% or higher is required to pass. Failing the written exam will result in disqualification from the selection process. The written examination will comprise 70% of your overall total weighted civil service score. The written examination will test your basic knowledge of simple arithmetic, problem-solving, reading comprehension, spelling and grammar, and other areas that assess your suitability for police work. Based on the number of applicants, the Municipality of Penn Hills reserves the right to select a set number of the highest scoring applicants to move onto the oral interview process. Applicants who pass the scored written examination and place among the top scoring candidates, if applicable, will receive a scored oral interview. We will notify you of the time and place for the interview. The oral interview will be conducted by a panel of interviewers and will consist of questions that assess your understanding of law enforcement, your decision-making abilities and test your ability to think on your feet. A score of 75% or higher is required to pass. Failing the oral interview will result in disqualification from the selection process. The oral interview will comprise 30% of your overall total weighted civil service score. Applicants who pass both the written examination and oral interview receive a final civil service score. We will notify you of this score. Applicants who claimed and are eligible for Veteran’s Preference will receive an additional ten (10) points added to their final score. The Municipality of Penn Hills will conduct background investigations on a set number of applicants, starting with the highest overall civil service score and moving down. The background investigation will be performed by a member(s) of the police department’s Criminal Investigative Division. The background investigation will consist of an in-depth look at your life. It will examine aspects of your life that include, but are not limited to; your criminal history, employment history, educational background, driving history, credit history, prior illegal drug use, domestic issues, and other areas that examine your overall character. Being a police officer places you in a position of public trust. The Penn Hills Police Department values the importance of ensuring that potential candidates for employment meet the high standards expected of us by the public. We understand that everyone makes mistakes in life and nobody is perfect. We are looking for candidates who exemplify integrity and positive character traits, honesty being at the forefront. The best choice to make in participating in the selection process is to be honest with all of your answers. Issues in your background that arise through your honesty would likely be discovered anyway. They will be examined on a case-by-case basis. Not everything that you’ve done will necessarily disqualify you from the selection process unless it’s found that you withheld, misrepresented or falsified information. Applicants considered for employment will undergo a polygraph examination. The company that conducts the examination will contact you to schedule your polygraph. You will then receive a “Polygraph Pre-Screening” packet in the mail. This document must be filled out before your scheduled examination. The “Polygraph Pre-Screening” packet is an extensive list of questions that examine several aspects of your background. Some questions may seem intrusive, and may even make you feel uncomfortable. It is normal to feel that way. Answer the questions truthfully though. You will have an opportunity to explain your answers before the actual polygraph examination. The purpose of this examination is to solidify the integrity of the selection process. It’s done to ensure that potential candidates are truthful with the information they’ve supplied on hiring documents, and to ensure they are not withholding information that may not be discovered by conventional methods of investigation (e.g., undetected criminal activity). Any detected deception during the actual examination, or any attempt to use “countermeasures” to defeat the examination, will disqualify you from the selection process. Applicants that complete all the steps in the selection process up to this stage will be ranked and given a number on the civil service eligibility list. Ranking will start with the candidate with the highest overall score, to include Veteran’s Preference points if applicable, and continue in succession to the candidate with the lowest score placed at the bottom of the list. Any offer of employment will be made from this list, provided it has not expired. As the need arises to fill vacancies within the police department, applicants on the eligibility list will be notified of a time and place for a formal interview with the chief of police and the municipal manager. This is not a scored interview and will not affect your ranking on the eligibility list. This interview is conducted to learn more about you, why you would like to work for the Penn Hills Police Department and to explain what you can expect if we hire you. You will be notified if selected for a position with the Penn Hills Police Department. The offer of employment is subject to the successful completion of a physical examination and a psychological examination. The physical examination will take place at a licensed medical facility and will test your overall health and ability to perform the essential job functions of a police officer. You will also participate in drug screening testing. You must successfully pass this examination to start your employment with the police department. The psychological examination will take place at a licensed psychologist’s office. It will consist of a formal interview with a psychologist and require you to complete the Minnesota Multiphasic Personality Inventory – 2 (MMPI-2) test. You must successfully pass this examination, to include the MMPI-2 test, to start your employment with the police department. Following the successful completion of the physical and psychological examinations, you are provided with the date and time in which you will begin your employment as a Penn Hills police officer. Your first week or so will consist of completing necessary paperwork for payroll and benefits, acknowledging the receipt of policies, general orders and memorandums, and participating in firearms qualifications. Upon completing the necessary “in-house” items, you will be assigned to a Field Training Officer (FTO) and start out on patrol. You are partnered with an FTO for the first six months of employment, to familiarize you with the roadways in Penn Hills, the department’s policies and procedures, and to learn how to complete paperwork associated with the Penn Hills Police Department correctly. After six months you will then be assigned to patrol on your own. The probationary period for a new police officer is one year from the date of hire.